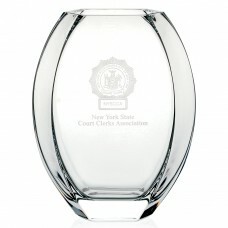 A simple, yet elegant and affordable vase perfect for decorating your office or as a gift!Great for .. 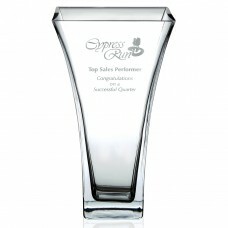 Decorative lines and unique cuts create a classic 24% lead crystal vase.With its visual interest, th.. 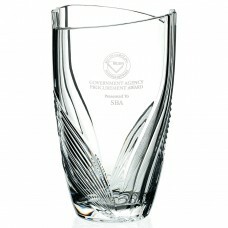 This contemporary piece will clearly display any logo or statement.The unique design of this vase gi..